Tributes are pouring in from across North America for John Trudell, a prominent member of the American Indian Movement, poet and actor who died on Tuesday. John Trudell, a poet, actor and prominent member of the American Indian Movement died on Tuesday in California at the age of 69. A member of the Santee Sioux nation, Trudell grew up on the Santee Sioux Reservation in Nebraska. In 1969 Trudell joined other Native Americans in the occupation of Alcatraz Island in San Francisco Bay, demanding that a treaty be honoured that would see the land returned to local tribes. During the occupation, Trudell operated a radio broadcast called Radio Free Alcatraz. Trudell became a well-known leader within the American Indian Movement, serving as national chair from 1973 to 1979. What a life John Trudell lived. In early 1979, Trudell's wife Tina Manning — pregnant at the time — and three of their children, along with Manning's mother, were killed in a house fire just hours after Trudell helped lead a demonstration in Washington, D.C. He and other members of AIM blamed government agents for the fire, though the cause was never discovered. Trudell spent several months in Vancouver not long after the deaths, even trying unsuccessfully to obtain asylum and refugee status in Canada. ​Trudell in subsequent years would gain increasing acclaim as a poet who frequently mixed spoken word with music, releasing over a dozen albums in his lifetime. The most well-known of these was likely AKA Grafitti Man. Bob Dylan played the album over the sound system before his concert sets in 1986 and told Rolling Stone in an interview that year that few musicians "can dream about doing work like this. Most don't have enough talent." The album, which featured Native American guitar ace Jesse Ed Davis, included a tribute to his late wife, Tina Smiled, as well as vocal contributions from Kris Kristofferson and Jackson Browne. During the 1990s and 2000s, Trudell appeared in several movies, including Thunderheart with Val Kilmer and Sam Shepard and Smoke Signals with Manitoba-born Adam Beach. Trudell's AIM past came back to the fore in 2004, when he testified for the prosecution in the trial of two men who would be found guilty in taking part in the 1975 killing of Annie Mae Aquash, a Mi'kmaq woman from Nova Scotia. He appeared in numerous documentaries about indigenous rights and struggles and one biographical film, produced by Marcheline Bertrand, mother of actress Angelina Jolie. Trudell and Bertrand were in a relationship for several years before her death from cancer in 2007. In the 2005 documentary Trudell, Robert Redford spoke to Trudell's longstanding concerns for the environment and increasing corporatization of the earth's resources. Trudell had been battling cancer before succumbing to the disease on Tuesday. His family announced his passing through his official Facebook account. "My ride showed up," the message read. News of Trudell's death spread quickly, with many tributes from across North America appearing on Twitter. 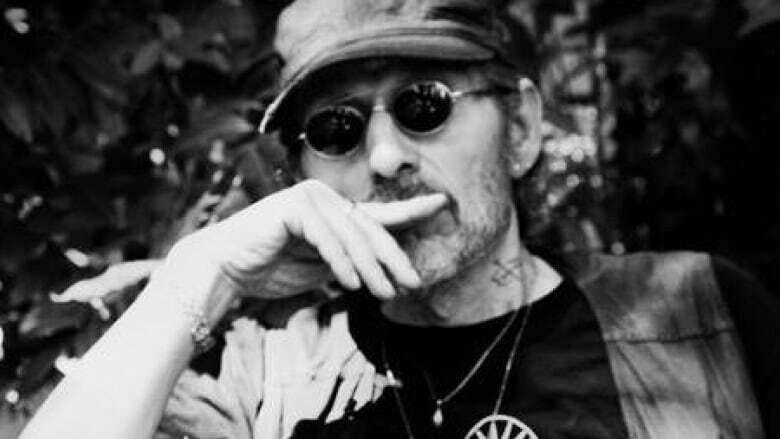 Wishing John Trudell a peaceful journey. Chi Miigwetch.